We take all your pub reviews, apply our Useyourlocal formula, and help find the very best pubs and bars in Prestwick, according to you, our visitors. Got something to say? Make sure you add your own reviews to make your feelings count. Highgrove House in Loans has accommodation. The pub has a function room that can be booked. Parkstone Hotel in Prestwick has accommodation. The pub has a beer garden, it has a car park. 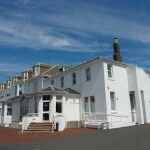 Parkstone Hotel has disabled facilities. The pub is a family friendly pub, it serves food. Parkstone Hotel has a function room that can be booked. The pub has an outside area, it has a real fire. Parkstone Hotel has free WiFi. Wheatsheaf Inn in Monkton has accommodation. The pub welcomes customers with campervans, it has a car park. Wheatsheaf Inn gives a warm welcome to dogs and their owners. The pub is a family friendly pub, it serves food. Wheatsheaf Inn has a function room that can be booked. The pub serves real ale, it has a real fire. Wheatsheaf Inn has a smoking area. The pub has free WiFi, it has a dart board. Wheatsheaf Inn has live music events. The pub holds Poker Nights, it has a pool table. Wheatsheaf Inn holds quiz nights. The pub has a big screen, it shows football on TV. Wheatsheaf Inn has the Racing Channel. The pub shows rugby on TV, it has Sky Sports. Wheatsheaf Inn has terrestrial TV. The pub is a member of the BII, it is a member of Camra. Toll Bar in Drongan has a beer garden. The pub has a car park, it has disabled facilities. Toll Bar has an outside area. The pub has a dart board. 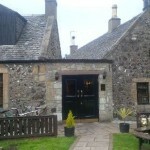 The Inn is a charming 15th century building with a wonderful olde-worlde atmosphere. A hostelry has been here since the 1700's and in the days of stage coaches the inn was an important posting stage. 15/11/2012 Great bar friendly staff and great atmosphere. 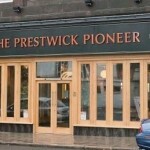 Prestwick Pioneer in Prestwick has a beer garden. The pub has a car park, it has disabled facilities. Prestwick Pioneer is a family friendly pub. The pub serves food, it serves real ale. Prestwick Pioneer has free WiFi. The pub is a member of Cask Marque. 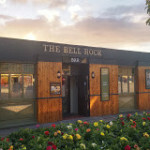 The Bell Rock in Prestwick has an outside area. The pub serves real ale. R A F A Club in Prestwick has a beer garden. The pub has a function room that can be booked, it has an outside area. R A F A Club has live music events. The pub has a pool table, it holds quiz nights. R A F A Club shows football on TV. The pub has terrestrial TV. 22/03/2014 Nothing like a real campbeltown pub.